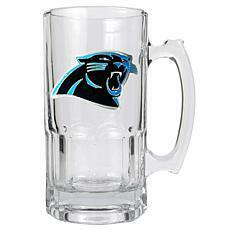 The sports fanatic in your life will love this large glass mug. 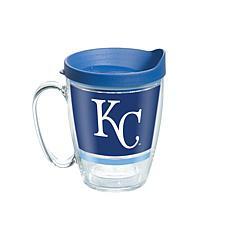 Complete with a stylish metal team logo, there's no better way to show off your team spirit than toasting the home team with your favorite beverage. Maybe it's karma, but they always seem to win when you have it close at hand. 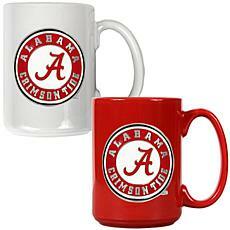 Give dad the perfect gift for game day with this cool looking mug that shows how much he loves his team. 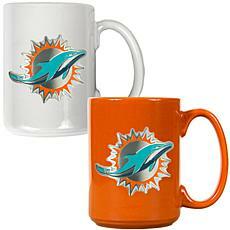 Adorned with team colors and logo, he'll enjoy his favorite beverage in this sturdy ceramic mug while he roots his team to victory. 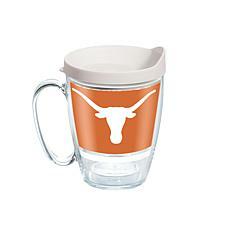 Take "chill" to the next level with this super-cool double-walled mug. 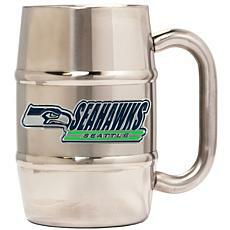 In sleek stainless steel, your beverage stays refreshing even when the game has got you hot under the collar. 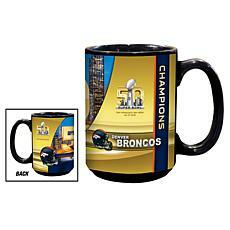 Super Bowl 50 Champions Set of 2 Ceramic Black Mugs How about a little football with your coffee? 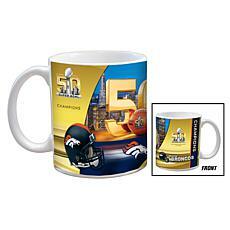 Every day is a Super Bowl day with your favorite mug. The best part? You receive two! Go Broncos! 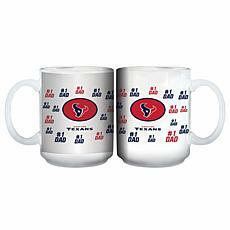 Super Bowl 50 Champions Set of 2 Ceramic White Mugs How about a little football with your coffee? 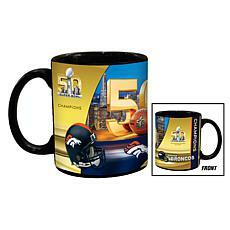 Every day is a Super Bowl day with your favorite mug. The best part? You receive two! Go Broncos!